Here you can find a strain description about Headbanger Auto and also some user-based reviews and infos directly from the SeedFinder (if available). You can also find the offers and auctions here if Headbanger Auto cannabis seeds are on stock at MyCannapot right now. 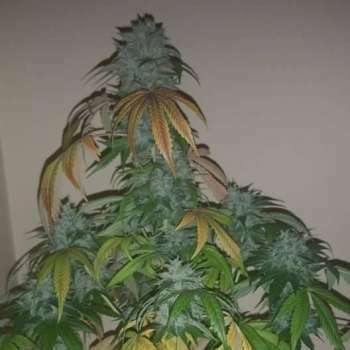 Headbanger Auto Feminized Headbanger Auto (Sour Diesel x Biker Kush) from Karma Genetics was crossed with Magnum Auto make this high THC auto-flowering Sativa Hybrid. She took 3rd place at the 2013 High Times Cannabis Cup in the Sativa Category. If you like Sativa strains, this is a must-have. The high potency of this strain makes it a great choice for extracts. Headbanger Auto is good for pain, stress or insomnia. Also good for PTSD, ADD and ADHD. Flowering period is 9 to 11 weeks from seed. Headbanger Auto is not available at our shop at the moment!